This was a fun project using butterfly dies ribbon, tulle and a wire mobile top. 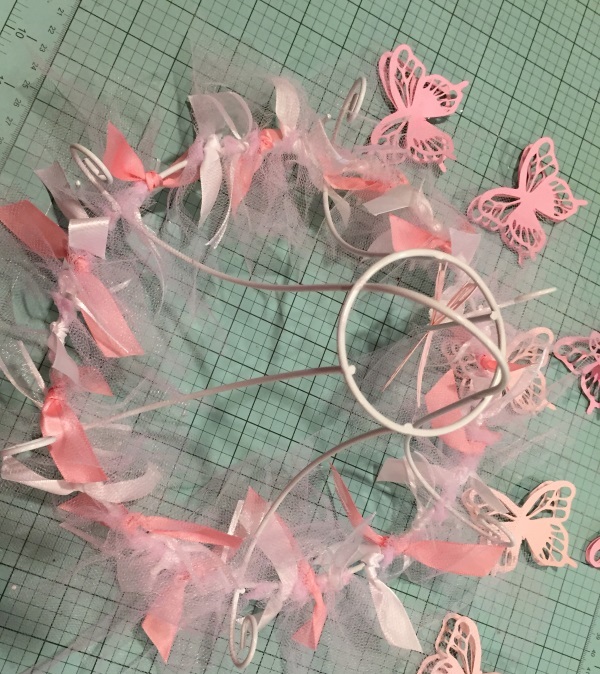 This is one of those live and learn projects!! I started a part of it to see if I would like it. 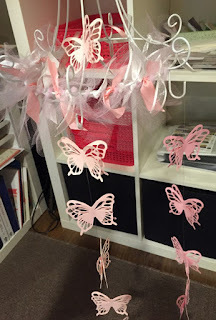 I did ... so I had butterflies hanging to work around.. This project is much better if you tie the ribbon and tulle around the top then add all the butterflies. Used the desk to help tie the tulle and ribbon on the rest of the top. so I could see what needed to be done next. 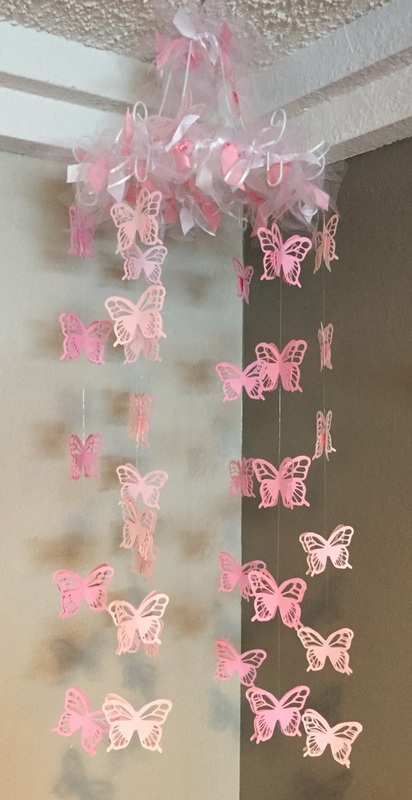 It was missing some fluff so I decided to add in White butterflies just a tad bit smaller between all the pink ones. Also he came up with a hanger option so I could reach. Lower for working on and white added in. 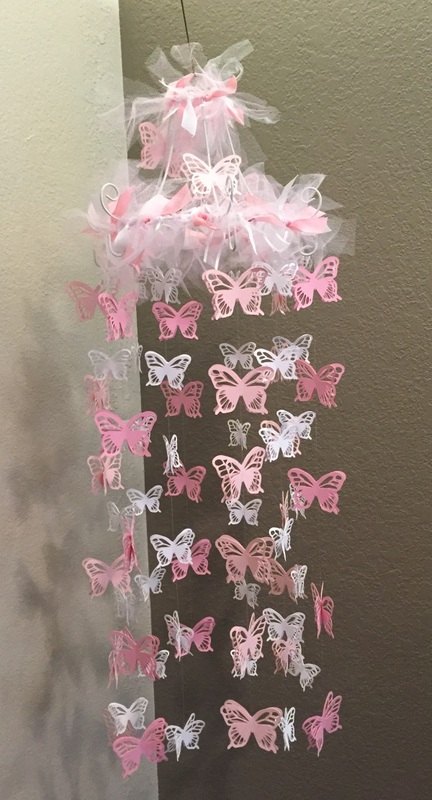 I wish I had gotten a picture of the one Abby completed she added pink and clear rhinestones to her butterflies it was beautiful. I made this for Norah and Liz requested no additional Bling. This is a very sweet mobile for a sweet little girl.